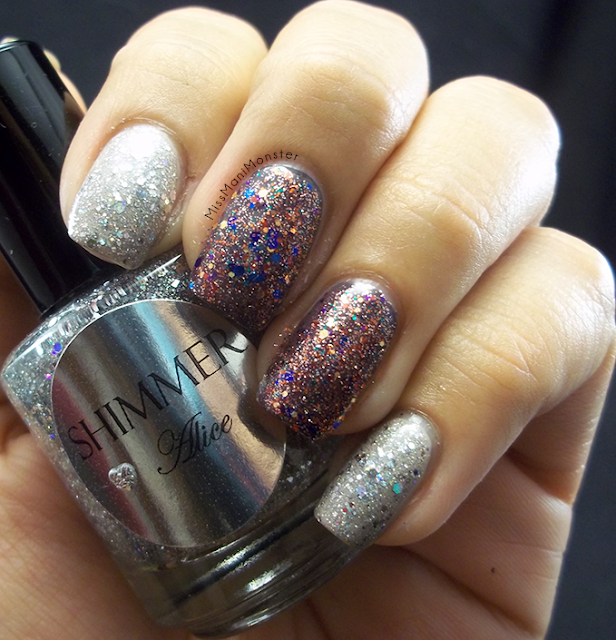 I have swatches from the always beautiful Shimmer Polish today! Especially around the holidays, I love to add a little something extra to my mani to make them pop and give them a little glitz, and Shimmer Polish is so perfect for that! 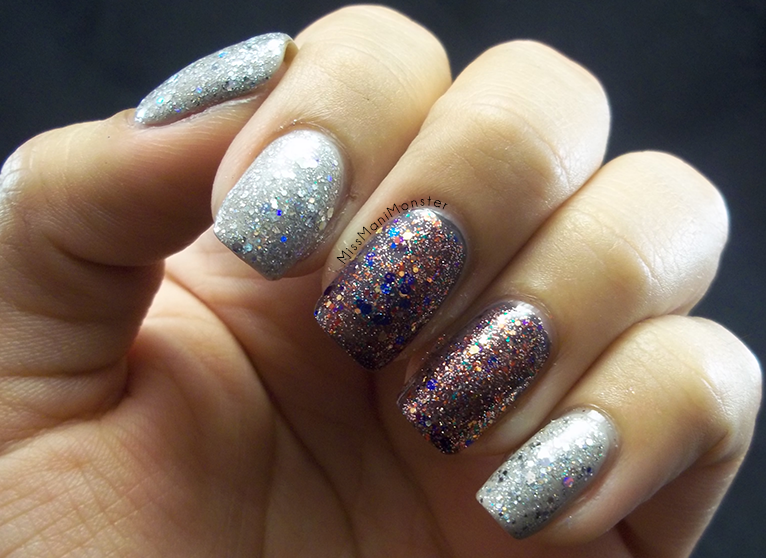 I have so many to show you, that I paired them up! 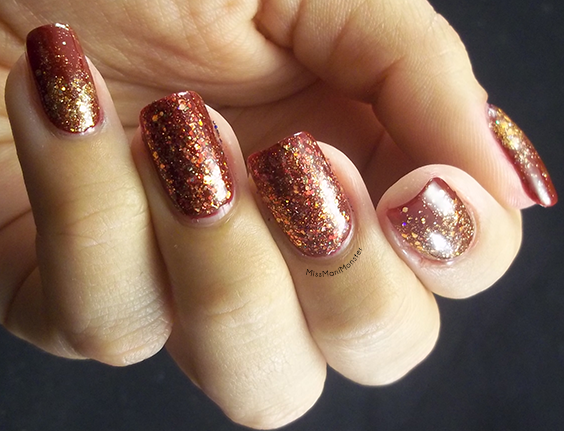 I hope I give you a few ideas of how you can glam up your holiday nails! 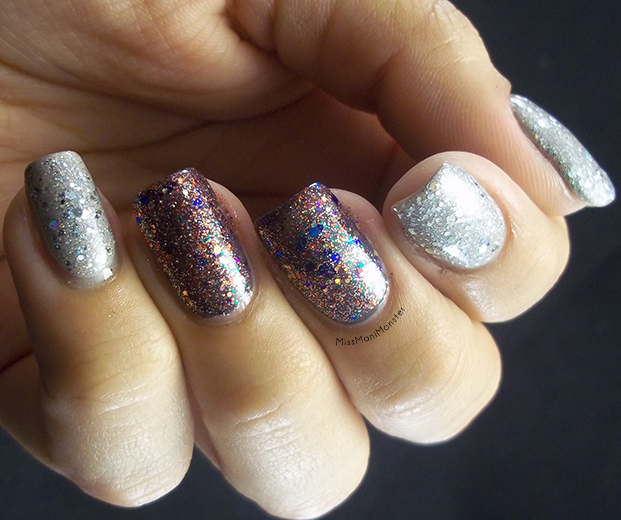 The first two I paired are Alice, a discoball silver glitter with holographic glitters, and Courtney, a rainbow mix of glitters featuring reds and blues! 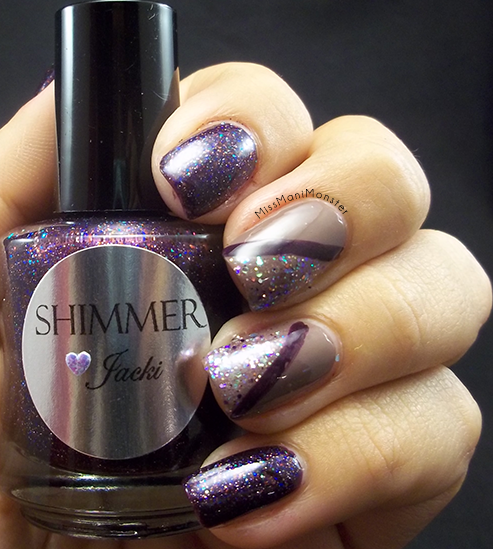 The next two I paired up are Astrid, an amethyst opal holo glitter, and Jacki, a violet, navy, and maroon glitter! 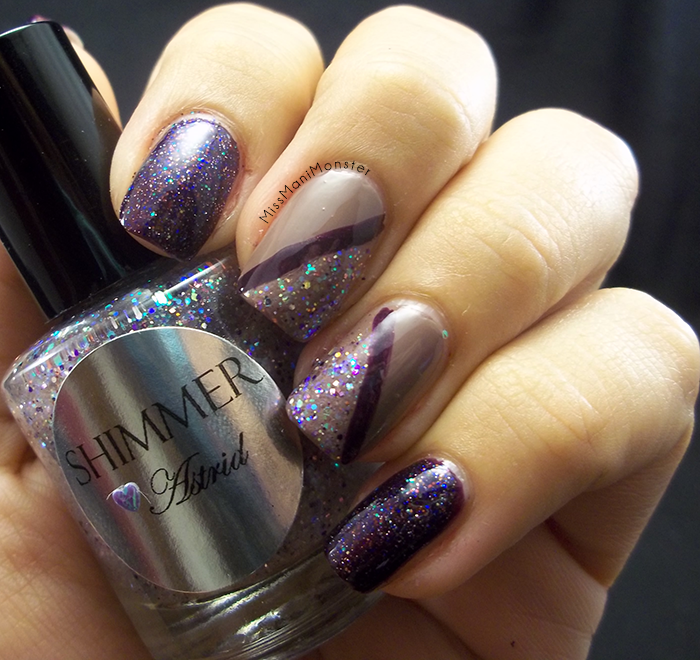 Astrid is in the middle with Jackie on the index and pinky fingers! 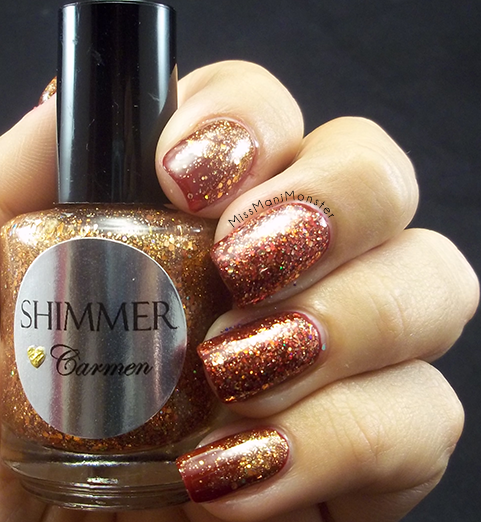 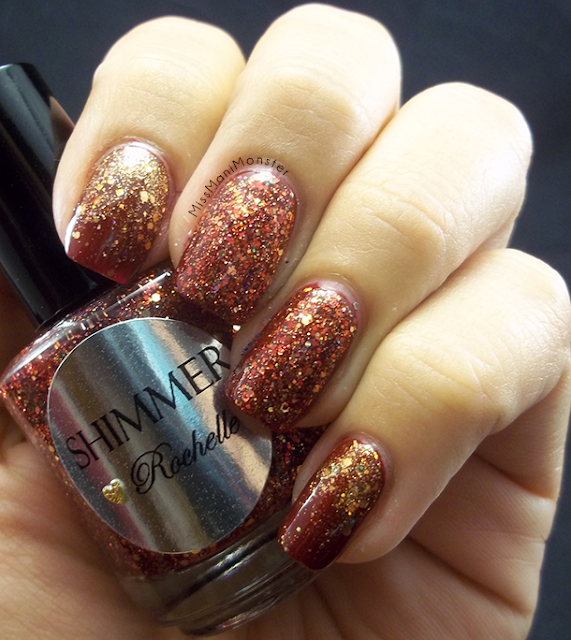 Next I paired up Carmen, a copper glitter polish, with Rochelle, a red and gold glitter with hints of copper! 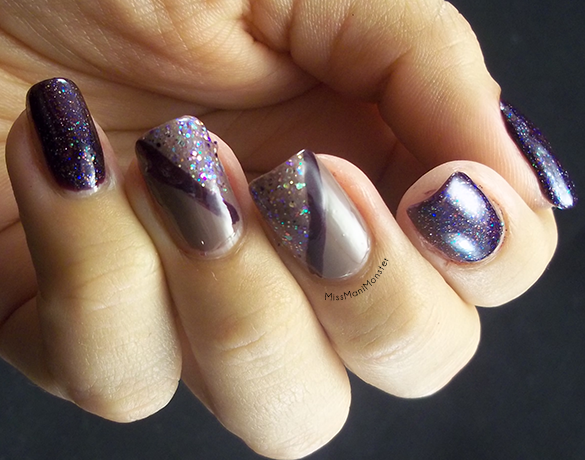 Carmen on my index and pinky with Rochelle as a double accent on my middle and ring fingers! 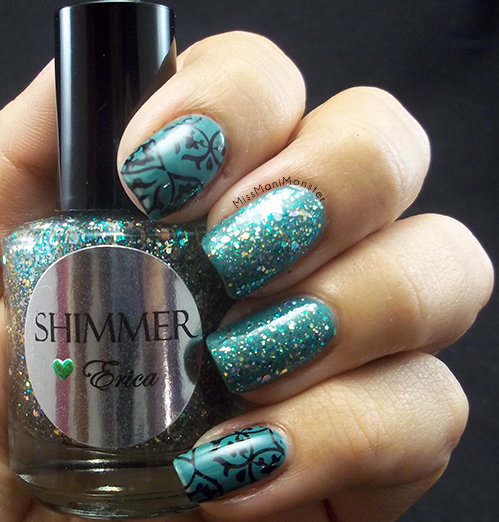 Finally, I swatched Erica, a crystal peridot glitter, as a double accent with some stamping! 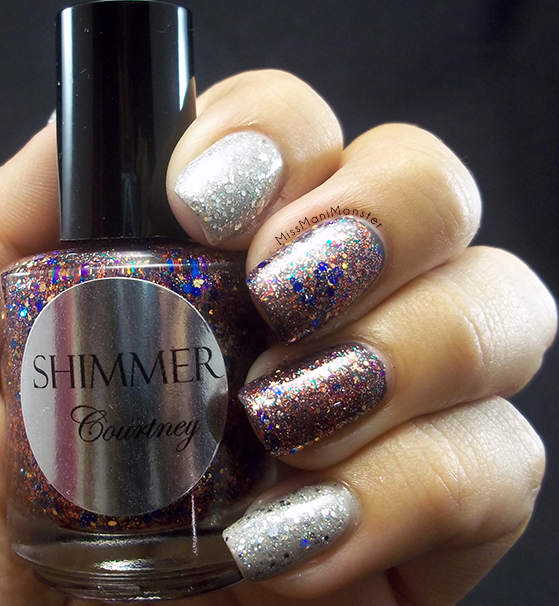 I'll have some more swatches for you this Friday!! In the meantime, you can check out all of the Shimmer Polishes on Etsy and Facebook!